Finding The Line is about fear and understanding the balance between risk, reason and reward. Throughout their careers as professional skiers, Anna and Nat have both constantly been challenged by fear. Yet, despite being brought up under the same roof, they have learned to deal with it in almost contrasting ways, neither leading them to the success they dreamed of. Bjarne Salén of Endlessflow Films, is an adventure filmmaker, director and producer from Sweden. Bjarne’s hallmark is capturing footage in challenging terrain. Bjarne’s documentary, Dream Line (2014), distributed by Red Bull Media, won worldwide acclaim, most notably picking up ‘Best Documentary’ at the Powder Magazine Awards. 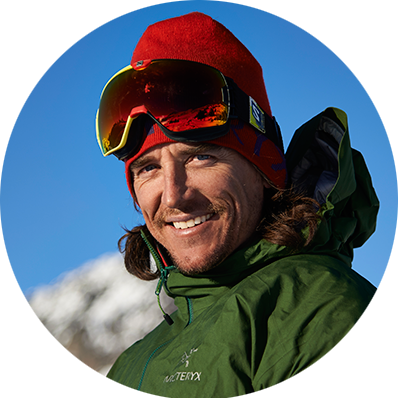 His film Eclipse, filmed for Salomon Freeski TV, won ‘Best in Snow’ at the 2015 Banff Film Festival. 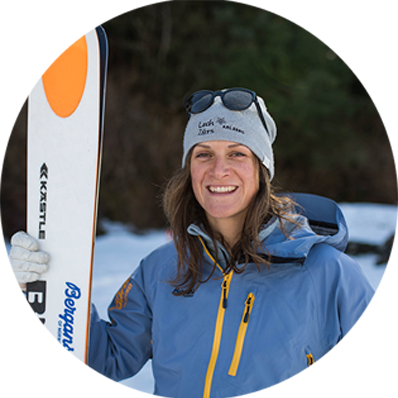 Most recently renowned for representing Australia in the Sochi Winter Olympic Games in ski slopestyle Anna is a seasoned freeski competitor of ten years. Since the Olympics Anna has branched out with the aim of developing her skiing skills and progressing the sport she loves in ways that competition wouldn’t allow. Anna has managed herself and liaised with a range of sporting brands (including Lululemon, Bolle Eyewear, Rip Curl, Dakine) and an array of media (including ESPN, NBC, Channel 10 Australia, SBS Australia and the ABC). Since 2011 Nat has been traveling the world as a top competitor in freeride skiing events, including the Freeride and Freeskiing World Tours. Now based in Chamonix, her focus has broadened to ski mountaineering and steep skiing. Since 2014 Nat has been involved in several action-sports films at both an athlete and a producer. Nat has experience fundraising and producing content for ski projects including collaborating on the Shifting Ice expedition and which lead her to being awarded a National Geographic Young Explorer Grant and filming with Shades of Winter. Sara Edwards grew up in New Zealand, England and Australia. She began her editing career in 1994 cutting television commercials and music videos including the Aria award-winning Madison Avenue clips. Working with various directors across a wide range of media, Sara has edited several documentaries, television dramas and shorts including Electric Boogaloo (2014), Uncharterd Water (2013), Lunchbreak (2011) and Not Quite Hollywood (2008). She was nominated for an AFI award in 2008 for her work on Not Quite Hollywood. Fran Derham is a director and producer from Melbourne, Australia and co-founder of creative team Cos We Can. Cos We Can produce TVC’s and online content; combining their skills to craft work distinctive for its visceral narrative and empowering storytelling. Their work spans across a range of creative mediums including photography, film, original idea generation & creation.